Crafted with nylon, this car seat bag and standard or double stroller bag are ideal for protecting your car seat or stroller from harmful disease and germs. 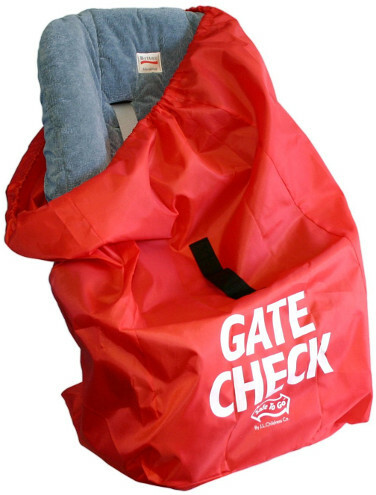 Gate Check Bags fit car seats with dimensions of around 18 x 18 x 34 inches, and the Standard and Double Stroller Bag fits strollers around 46 x 21 x 13 inches. Finished with sturdy but lightweight material and is resistant to water. Keep the things your baby touches clean, get the JL Childress Gate Bag for Car Seats – or the Standard or Double Stroller Bag.